When sad news reach you there are many ways to react. Disbelief, sadness and various other feelings mix up. You realise that life is a wonderful gift and you never know what the next day brings. When somebody dies in unexpected situations it is hard not to ask why? It is pointless…as of course there is no way to find an answer. For me, it’s a time for reflection. And such happenings help to put life in perspective. We are totally immersed in our working lives, totally taken by the challenges, battles and stresses that working in Sport provides us on a daily basis. Sometimes we lose track of everything else. Family, friends, people we know, we don’t realise how important they are for us and how lucky we are in having them around. Sadly we tend to realise this only when we lose them. In the last few months I lost two great friends and colleagues. The kind of people I am lucky enough to have met because of the job I do. The kind of people you have not grown up with, but instantly become more than just a colleague, because you not only share the same views and passions, you also enjoy to spend time with them to talk about all sorts of other things that are not work-related. Their loss is sad, but I would like to celebrate what they did in life and how fortunate I was to meet them and spend time with them. 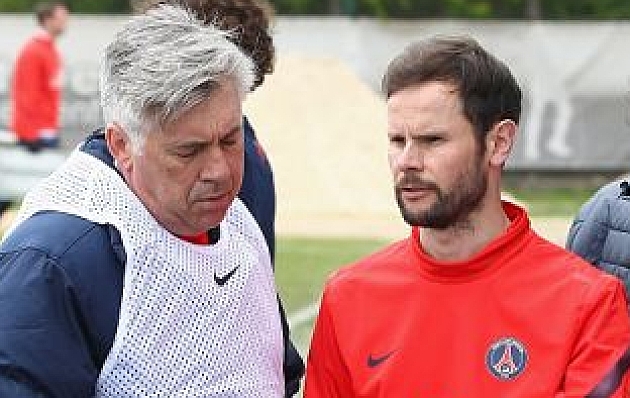 Nick Broad was the Head of Sports Science at Paris St. Germain. I met Nick probably 10 years ago for the first time at a conference in UK. We spoke about the impact of nutrition and science in Football and how this was evolving. He was a former Aberdeen student, having done his Master in Sports Nutrition with Prof. Ron Maughan in Scotland. So we had common ground, common friends, common interests. Nick progressed in his career from being one of the first Sports Nutritionists working in football trying to change the way nutrition was applied and delivered in the Premiership. Since his early career he was not only interested in nutrition, he realised quickly than an holistic approach was the way forward, and the use of all sciences was fundamental to improve the player’s performances. He was a keen listener, he always exchanged his views in an open and frank way and became soon one of the leaders in the field working as head of science at Chelsea Football club and recently at Paris St. Germain. He showed that people who strive for knowledge and excellence can make a difference also in a conservative sport like Football and I have no doubts he is a role model for the young practitioners who attended conferences he was presenting at. We used to meet and exchange ideas frequently and we both shared a passion for good coffee. I also enjoyed his challenging questions, because they made me think a lot and learn a lot. Today Nick is not with us anymore. I can say I have been fortunate to meet him. He was a great practitioner, a brilliant mind and a very good friend. I will miss our catch ups with good coffee. Marcello Faina was the Head of Sports Science of the Italian Olympic Committee. I knew Marcello since I was a student in Rome, mainly because he was the closest collaborator of Professor Antonio Dal Monte. They were the brains of the Institute of Sports Science and Medicine of CONI in Rome. The team who was pushing boundaries to help Italian athletes succeed on the World stage. Marcello then became the director of the Institute and contributed to the preparation of Italian athletes to countless Olympic Games, Worlds and European Championships. Furthermore, he was heavily involved in education (educating coaches and young sports science and sports medicine students), research (we also published a paper together recently), and mentoring young practitioners. We met countless times over the years and were consistently in contact. He was my sounding board. His experience in the Olympic movement was immense, so I used to ask him advice and learn from his experiences. We met at the last 3 Olympic Games I attended with Team GB and used to joke about our rivalry. The last time we met it was two days before the closing ceremony in London. We had an ice cream outside the Italians’ HQ together with my Team GB colleagues and the rest of the Italian medical team. We were all happy about the results of our respective teams and were sharing knowledge/views and also chatting about things unrelated to sports. Marcello was due to receive the most prestigious award in Italian sport for his contributions to sports science and medicine over the years. He never made it, the award was given in his memory. I never got the chance to thank you for the wise words and your way to find the positive and humorous side of each story. I will take the chance now. Thank you Marcello.